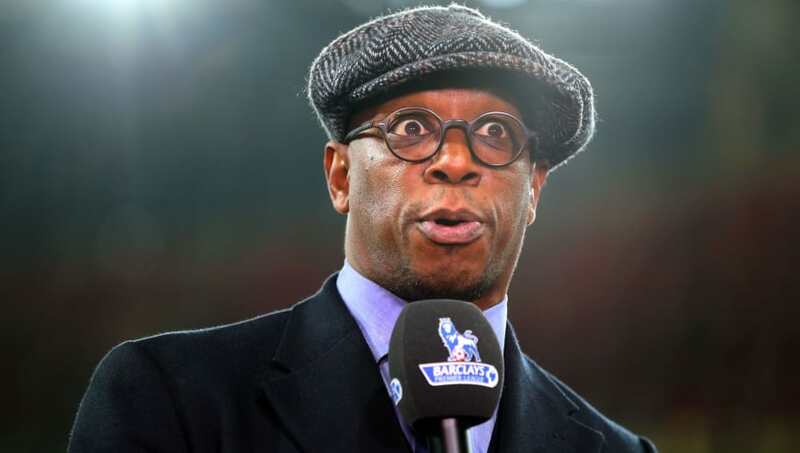 ​Former Arsenal striker Ian Wright has posted his appreciation for club forward Alexandre Lacazette on social media after the Gunners' draw away to Brighton on Boxing Day. The French forward has featured for Unai Emery's side in 18 of their 19 Premier League games this season, scoring six goals and also registering six assists. Despite Lacazette's strike rate being somewhat dwarfed by his prolific Gabonese strike partner ​Pierre Emerick Aubameyang, he has contribute to his team's improved campaign by putting in a number of selfless shifts up front. His performances have caught the eye of Wright, with the Arsenal legend taking to Twitter after the Boxing Day draw with Brighton to praise the French striker's work ethic. "Your work for this team and all Auba's goals does not go unnoticed @LacazetteAlex," Wright wrote. His post perhaps came after Lacazette showed dismay at being substituted just past the hour mark, with Unai Emery opting to shift Aubameyang up front so that Alex Iwobi could be introduced into the game. While the Frenchman didn't have his best game against the Seagulls, he has put in a number of impressive performances since moving to the Emirates Stadium. He scored 14 goals in his first season with the club, also contributing five assists. The numbers are nowhere near what he was hitting for previous club Olympique Lyonnais during his last season in France, where he bagged an impressive 28 goals in 30 appearances. However,​ Lacazette has had to adapt his game since the arrival of Aubameyang at Arsenal, as the former Borussia Dortmund striker has often become the focal point of the Gunners attack. ​Arsenal will be hoping that their strikers will be firing when they take on league leaders ​Liverpool at Anfield on Saturday, as they will be aiming to recapture the form which saw them go 22 games unbeaten before falling to defeat at​ Southampton.